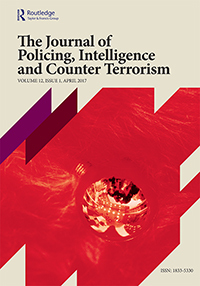 The influence of ISIS online media campaign prompts the need to rethink twenty-first century warfare, particularly in relation to the media battlefield. To build a better understanding of the strategic themes deployed in the group’s messaging, this essay moves away from the bulk of previous literature on ISIS that analyzes a single mode of communication (text, visual, or audio). Instead, it offers a multimodal analysis of 70 videos released by the provincial operations of ISIS from 2015 to 2017. Specifically, the study focuses on redundant sonic and visual approaches to reveal the group’s strategic themes and preferred messaging toolkit for reaching target audiences. The focus on visual and sonic elements stems from previous research documenting that the two modes are particularly salient for attracting attention and reducing resistance of viewers. Specifically, this study focuses on two content themes recurrent in ISIS videos: militia training and martyrdom operations. The findings demonstrate that ISIS uses sonic and visual strategies in its training segments as a primary vehicle for identifying with viewers. In the martyrdom segments, the group uses the two modes to equate members of its group willing to make the ultimate sacrifice with the generic war rhetoric of the U.S. commander-in-chief.